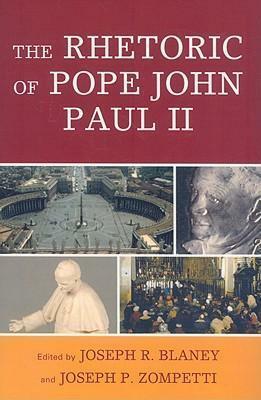 From the downfall of communism in Eastern Europe to his devotion to Mary to his championing of social justice and orthodox theology, this book examines Pope John Paul II's several moments of persuasive finesse as well as instances when his message could have been crafted more effectively. Written by Catholics, Protestants, Mormons, agnostics, and atheists, the chapters approach the Pope with varying degrees of admiration, but always with intellectual respect. Joseph R. Blaney is associate professor of communication at Illinois State University. Joseph A. Zompetti is director of forensics and associate professor of communication at Illinois State University.